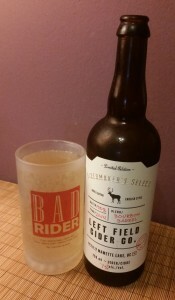 Posted in Cider. 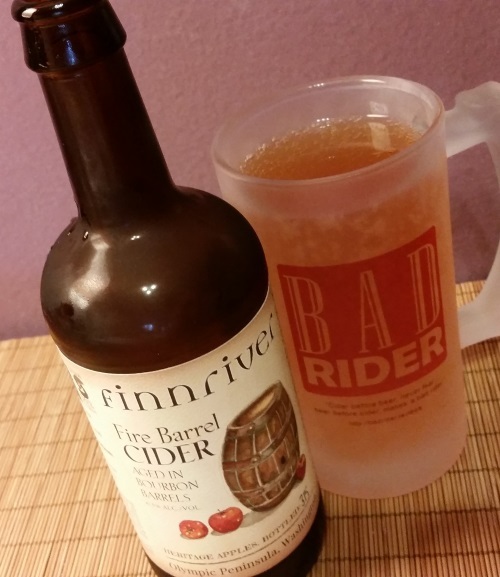 Tagged 500mL, barrel-aged, finnriver cider, fire barrel. Smoke was recommended to me a while back at the same time as Alpenfire’s Glow rose, and between the two of them and the Pirate’s Plank Bone Dry I think you can really get a good picture of how broad Alpenfire’s repertory is. They’ve got a good thing going on over there, though their pricing does tend to set the expectation that they would. Smoke is a clear amber and a whopping 16% ABV – for as smooth as it drinks, I was expecting something more in the 7-9% range. 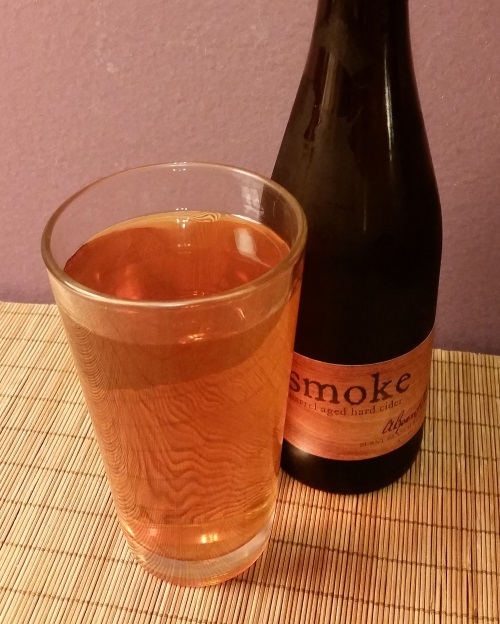 It’s a surprise for me because Smoke is considerably less brash and aggressive than Sea Cider’s Prohibition, which clocks in at “only” 12.5%. Its aroma is rich with the booze-soaked smoky wood of the barrels and thick, syrupy apples. It is a bit… much, and not up everyone’s alley, but I certainly like it well enough. 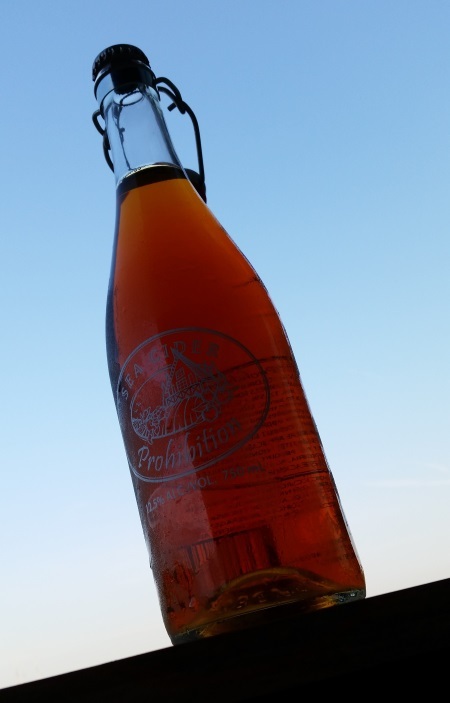 The heaviness carries through to the flavor, which is intense and sweet, with a sharp, aromatic undertone like harder liquor, a little fiery, that could come either from the barrel-aging or from the high alcohol content. This is absolutely a sipping cider, not a chugging cider, and if you’re going to pair it with food, make it something that’s really going to hold its own. You can locate some Alpenfire for yourself here — or consider stopping by their farm! It’s definitely on my list of road trip destinations. Posted in Cider. Tagged 500mL, alpenfire, barrel-aged, smoke. Steel Town is a limited release from Crispin to commemorate their 5th anniversary, a blend of ciders aged in 5 different casks (sherry, port, shiraz, rye, and bourbon). Don’t pay too much attention to the overly flowery and enthusiastic bottle copy, which talks about Steel Town being a “jam session cider” and ascribes musical attributes to the 5 different casks used to age it — the Dave Matthews Band in a cider bottle, if you will. Whether that description sounds positive or negative to you, Steel Town is good drinking. 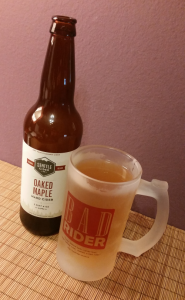 It kicks off with a mild honey-vanilla aroma and a hint of squash, and pours a cloudy amber. The 5-cask aging really has given it impressive complexity and depth of character — it’s a little sweet and fruity, a little bitter, a little spicy, but everything in balance, with no single element overpowering the rest. And even balanced as it is, drinking it cold and drinking it as it nears room temperature are more dramatically different experiences than many other ciders I’ve tried as various aspects of the flavor come forward and retreat. Crispin recommends drinking it chilled (50-55 F/10-13 C), “with or without 1 or 2 ice cubes.” While I agree that’s the sweet spot, its mercurial nature makes it interesting in different ways at higher or lower temperatures. Steel Town is 6.9% ABV and isn’t listed on Crispin’s website for locating yet — it’s just starting to ship out to markets, which means this is your advance warning to keep an eye out for it. I’m already going to miss it when it goes away. 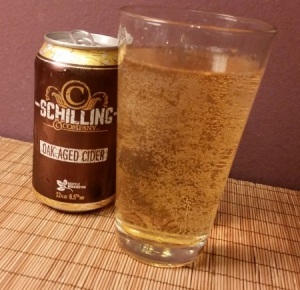 Posted in Cider. 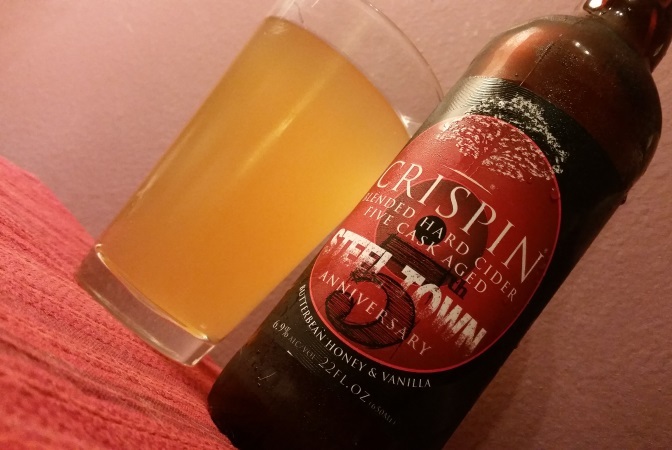 Tagged barrel-aged, crispin cider, limited release, steel town.